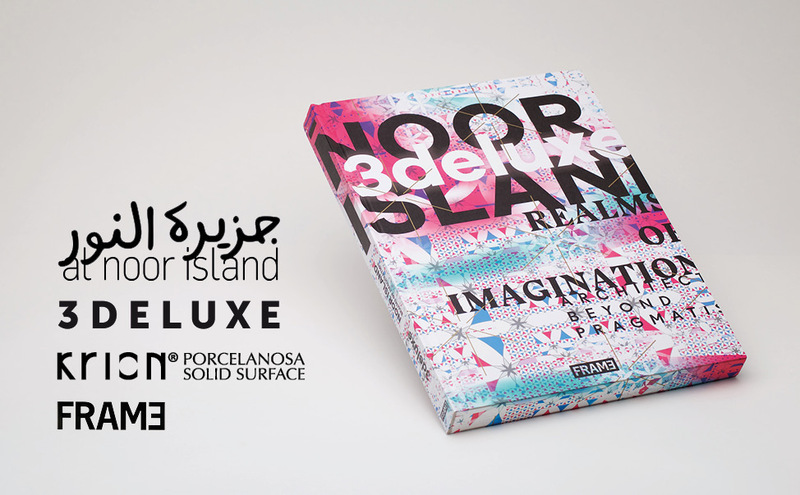 Last June the book “Noor Island – Realms of Imagination” was presented, following previous monographic books on projects by the renowned studio 3deluxe. In this book we can see the transformation of a small island in a natural park, made up of a set of pavilions, buildings and objects (many created with KRION®), whose main objective is to contribute to the quality of urban life in the city of Sharjah, UAE. “Noor Island – Realms of Imagination” is different from what we consider a conventional architecture book, presenting the project in a more personal way, in less of a documentary style. In it, we can appreciate all phases of creation in which the solid surface from PORCELANOSA Group, KRION®, forms a part. Firstly, there is the difficulty of having a blank canvas, where creation can begin with KRION®; then the technical support for undertaking the work, the production phase, and assembly. Everything is masterfully combined in the book, published and designed by FRAME Publishers. You can find the book at the following link: FRAME STORE / ”Noor Island – Realms of Imagination”.